Netrium digitus: spindle-shaped cells with 2, in crossection star-shaped chloroplasts.2 aspects of the same specimen, focal plane on the axial plane. 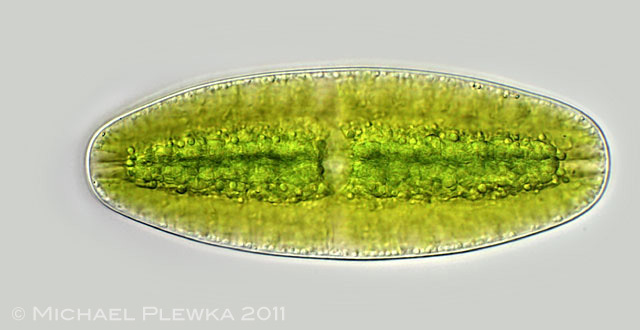 Netrium digitus: same specimen, focal plane on the peripheral plane. 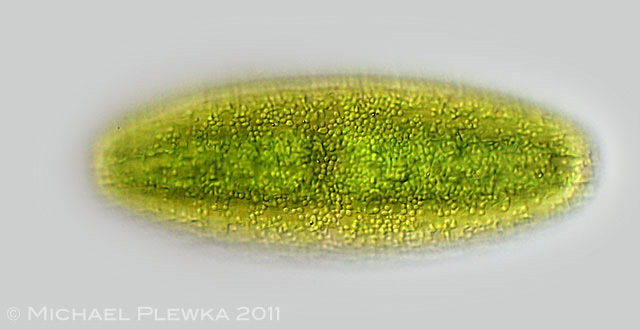 Netrium digitus: another specimen, focal plane on the typically lobed chloroplasts, which, in a cross-section, looks star-shaped. 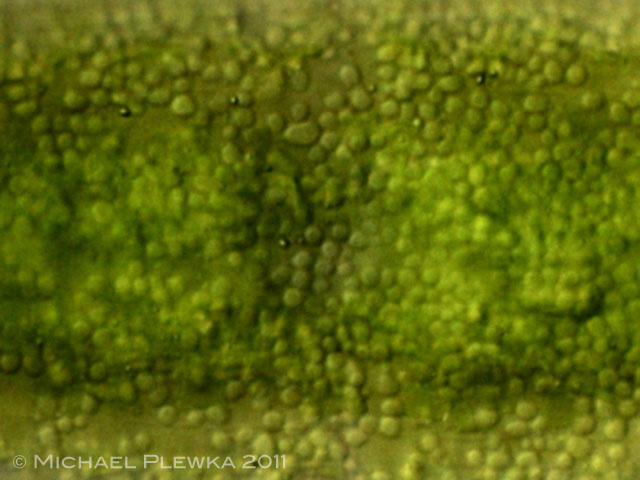 Netrium digitus: crop of image 2 showing the mitochondria of the cell.